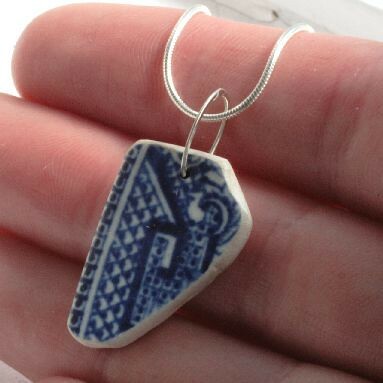 This pretty little sea pottery pendant is attached to a sterling silver snake chain with . . . a soldered closed sterling silver jump ring! After a few attempts the soldering is working, yay!